One of the best features you can add to your home or business phone system is to have an answering machine. There are numerous benefits to this, which will be explored on this page, and this should help you make a better decision on choosing the best cordless phone with answering machine. There are two cordless headsets that really stand out when it comes to having answering machine features and they are the Panasonic KX-TG4742B and the AT&T CL82309. Both manufacturers have decades of experience with telephone systems and this is certainly reflected in the average Amazon buyer rating. This particular model comes with two handsets, which is very convenient. I cannot remember how many times I’ve heard a telephone ringing but just couldn’t find the one handset because. You can also expand the system with up to 6 handsets should you have the need to. With 18 minutes of voice recording and talk time of 13 hours, this system is very suitable for businesses as well as households. With a 4.5 star average Amazon rating this is really one of the best cordless phones you could possibly buy. There are literally hundreds of positive customer reviews that will be very helpful for you to make a final decision. But for less than $60 you cannot go wrong. While this model is a bit more expensive than the above Panasonic one it does come with 3 handsets and is expandable to 12 handsets. This makes it more suitable for people with a need to have quite a few handsets, or at least the ability to expand further in the future. Where falls a little bit short compared to the Panasonic model is on the voice recording time, which allows for 14 minutes compared to 18 minutes. But this is only really a problem if you think you will need to record a lot of unanswered calls. With an average 4.3 start Amazon rating you will be able to rest assured that it is a great device, but you should definitely head over to Amazon and read some of those reviews. 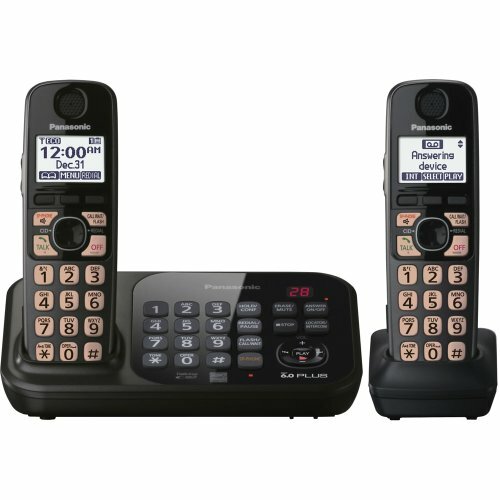 There are several advantages to choosing the best cordless telephone with answering machine, whether you are a home user or business. Obviously the main idea behind an answering machine is to allow people to leave a message when you cannot or do not want to answer the phone. This could be because you are out of the house or you are simply too busy with many of life’s other tasks. But not answering the telephone may well result in you missing a very important call, and if it is something important then people will generally leave their name and a quick message allowing you to respond as soon as possible. This is especially important when you run a business. Any missed call is potentially a missed customer, which is not something that businesses can afford to do. One great feature you can find in many of todays answering machines is the ability to access the recordings remotely. For example, if you have left the office and want to quickly check if any important messages were left, then you can simply dial your office phone and securely access you voice messages over the phone through a password system. This means you do not have to physically go to the answering machine to hear the messages. If you run a business that attracts quite a few missed calls, then you should also look out for the total recording time available on a device. The more calls you tend to miss the more storage space there has to be, but if you are missing a lot of calls, then you may need to consider porting your incoming calls to other numbers. 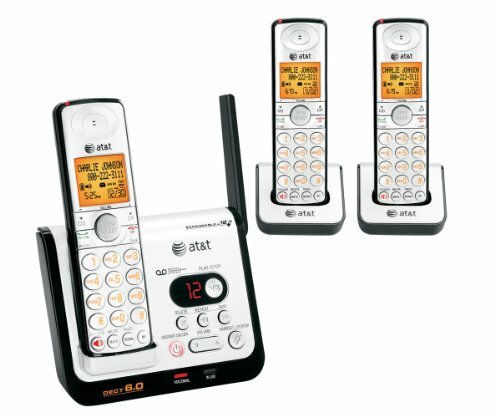 Choosing best wireless phone with answering machine is an important task. There are significant quality differences and one of the best ways is to check the Amazon customer reviews and average ratings. For both the above listed devices the average rating is well over 4 stars with a lot of very happy customers writing positive reviews. Also check out our extensive feature comparison table of the most popular cordless phones.